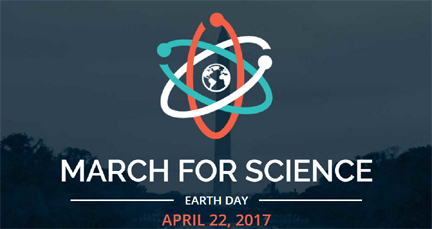 Do “Science People” in Forensics plan to #ScienceMarch on Earth Day? I haven’t run across any evidence that the April 22 March for Science national event has hit the radar of major US forensic organizations. The fact is that most members are local, state or federal employees. Certainly many call themselves ‘scientists.’ Maybe some are feeling ‘chilled’ like NOAA, EPA, FDA staffers are about their Trump era budget cuts. Academics devoted to any forensic research also have their government funding to be concerned about. Yorkshire police and cohabiting private forensic lab talk about their successes since FSS shutdown. Its all about ‘saving’ money, although they allude that ‘most testing’ stays in house. They nabbed a murderer by profiling attacker’s DNA from the victim’s false teeth. A UK police crime lab reminisces about the history of their using DNA profiling. $30 million award to two men imprisoned 32 years by junk science. (arson). This entry was posted in AAFS, CSI, forensic science reform protecting the innocence and tagged forensic science and donald trump, science march. Bookmark the permalink.